Hi all! I'm Emily and I blog over at so anthro [though a name change is coming soon, so stay tuned!]. Kate is who I, no-fail, always turn to for nautical inspiration, so I thought I'd return the favor with some of my own today! I don't know about you, but I own more preppy, seafaring-style dresses and skirts than I know what to do with-- perfect for brunch with the girls, dinner with my family, shopping and strolling on the weekend... but when it comes to other occasions, I feel like dressing nautical-style isn't as easy. So I've put together a few outfit inspiration boards to help you dress the Nantucket way at work, at the gym, and for a fancier night out! 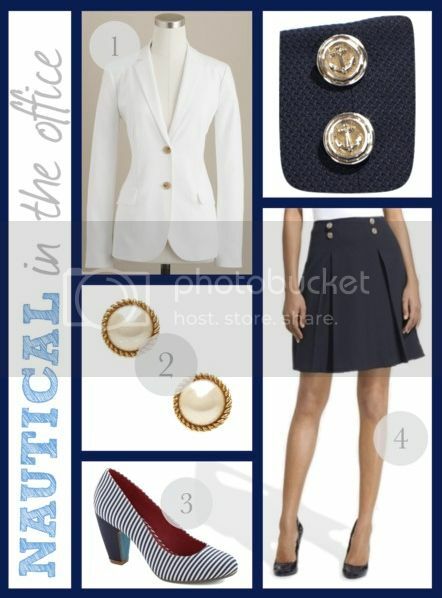 How do you incorporate nautical fashions into your everyday life? I'd love to hear! 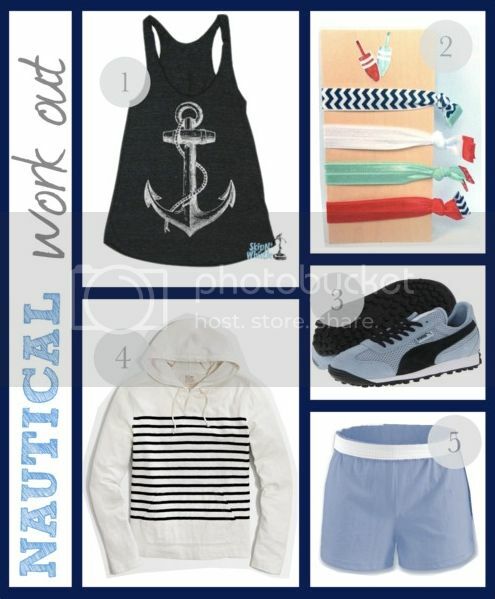 Nautical work out clothes... get outta here! Even I haven't thought of that. Loveee this idea, I am going to have to get me an anchor top or sports bra (if they make one) for working out!! great post! what program did you use to make those collages? XOXO, Check out my blog! Ah! 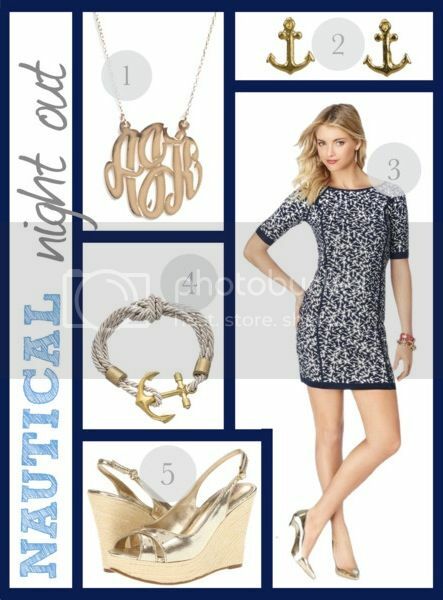 Love Nautical at the office! I really, really love everything about the last look. So cute!